A tax accountant is an experienced professional that can help individuals with filing their taxes, and they are turned to by an overwhelming number of Americans. The IRS calculated that over 78 million Americans paid a professional to assist with their tax returns in 2016. The top five benefits of hiring an accountant to do your taxes include the expert-level advice, saving money, saving time, avoiding tax scams and shifting accountability onto the accountant. Tax laws, exemptions and write-offs are constantly being updated and changed. The IRS website notifies taxpayers of relevant tax law changes, but staying up-to-date on the frequent changes is time consuming. More recently, parallel bills, like health care reform, have included language that restructures tax credits and implements new fines. Tax specialists are experts at tax laws and will be aware of the latest updates. Correctly navigating tedious tax codes is imperative for both individuals and businesses. Failing to do so is considered a criminal offense and can result in fines, revocation of your driver’s license and even imprisonment. Individuals may initially believe they are saving money by opting for online self-service tax programs, such as TurboTax, because of the software’s small one-time fee. Hiring a professional tax specialist for assistance can cost up to three times as much in certain states. Do not be deceived over the initial cost, but rather consider the overall value of the tax program software. Such programs can be very beneficial for people that are already well-informed on tax codes and filing procedures, but they offer very little guidance. The tax program’s artificial intelligence is no match for personalized, human interaction and processing. 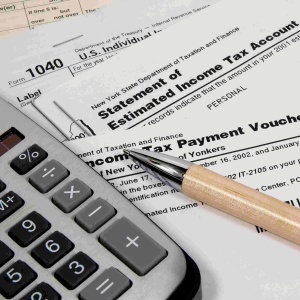 Tax professionals save more money than computer software by minimizing errors and informing individuals about relevant tax credits or write-offs. Any money that you think you save on a tax software program will be lost on the time spent navigating through your returns. Although the software does streamline the entire process, it still requires the user to be fluent in tax terminology and law. The IRS stated that in 2015 the average taxpayer spent eight hours completing their 1040. You can save a great deal of time by collecting the information you need, taking it to a tax preparer and letting the preparer do the rest of the work. One crucial reason to invest in a tax accountant is to minimize your susceptibility to tax scams. A tax professional provides a sense of security and peace-of-mind by ensuring that your taxes are filed correctly. The IRS and FTC regularly update statistics that reveal millions of dollars have been lost by thousands because of tax scams in recent years. The scams typically involve threatening phone calls from individuals impersonating an IRS agent. The IRS additionally identified a 400 percent increase in online phishing and malware incidents during the 2016 tax season. Tax professionals are well versed in safeguarding a client’s information, and the IRS regularly provides them with updated security information on potential tax scams. If you or your business is audited, then your tax program software can not represent you or provide you any real assistance. A tax professional, on the other hand, is well-equipped to defend you and your tax return. They can help you set plans, record important transactions and stay informed about critical changes in the law. Holding credentials requires extensive education, testing, registration and adherence to a set code of ethics. Relying on a tax professional safely transfers a certain amount of accountability onto the accountant representing you on your return. You are required by law to provide accurate information, but the accountant is responsible for filing the taxes correctly. The most common reasons for hiring an accountant to do your taxes includes the expert-level advice, saving money, saving time, avoiding tax scams and shifting accountability onto the accountant. An accountant typically charges around $200 for filing, but this charge can easily pay for itself if your tax preparer finds even one tax credit or deduction you missed. Doing it yourself or using computer software is no comparison to hiring a tax accountant dedicated to ensuring your taxes are completed correctly and efficiently.